SECUTAC 535 reader is made with elegant design and professional surface treatment. Also the device can be used to connect with a control panel as a reader by wiegand-out interface.The operation can be done on PC software and upload to the device through TCP/IP, RS232/485 communication.The USB-host is used for data download and upload, including user data and record etc. SECUTAC535 is suitable for house, small office and factory etc. 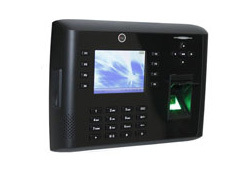 Secutac ST503 is an access control device, which is made with elegant design and professional surface treatment. 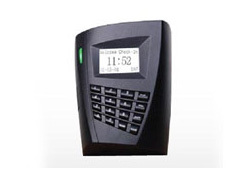 The device have lock control, alarm, exit button, door sensor. The wiegand-in interface is used to connect external reader to construct master and slave system. Also the device can be used to connect with a control panel as a reader by wiegand-out interface. The operation can be done on the device through LCD display, also can be done on PC software and upload to the device through TCP/IP, RS232/485 communication. 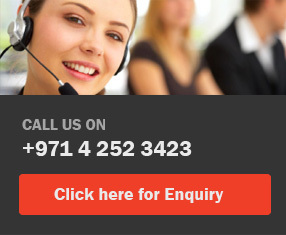 The USB-host is used for data download and upload, including user template and record etc. ST503 is suitable for house, small office and factory etc. Secutac510 offers unparalleled performance by using an advanced proprietary matching algorithm which is reliable, precise and has the fastest fingerprint matching speed. The 3” TFT screen can display more information vividly, including fingerprint image quality, verification result and any other information you wish to display on the screen. 3.5'' TFT screen support different Multimedia formats. Internal Camera and Photo-ID support the user's photo display and make T&A application more visible and reliable. Secutac ST666 access control terminal adopts latest ST600 platform with Finger 10.0 fingerprint algorithm to improve identification speed. It can manage 10000 templates within 1.5 second (I: N identification). ST666 features high performance, high image quality optical fingerprint sensor. 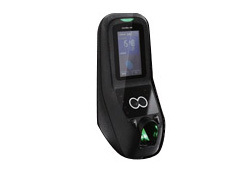 The patented optical sensor is resistant to scratches, impact, vibration and electrostatic Shock. Because of the common development platform, existing customer will be able to use ST666 and co-exist with any existing Secutac readers without re-enrolling the users. Storage Capacity: Store up to 3,000/10,000 templates and 50,000/80,000 records. 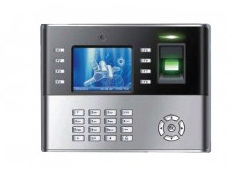 Secutac 700 Face recognition system designed for Access Control applications. 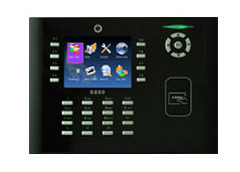 Secutac 700 is a modern Face recognition Time attendance system / door access system which also supports Fingerprint and Card Access Control. 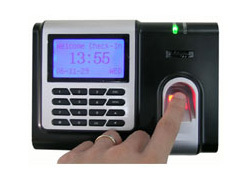 When using Secutac 700, users can identify or verify themsleves either by face,finger, card ID or PIN/Password. The TFT color touch screen of Secutac700 provides ease of use and a rich user experience. 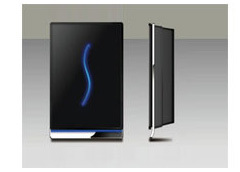 The Secutac 700 face recognition door access system uses state of the art 3D imaging technology for Face recognition while also providing hygienic 100% touch-free biometric authentication.